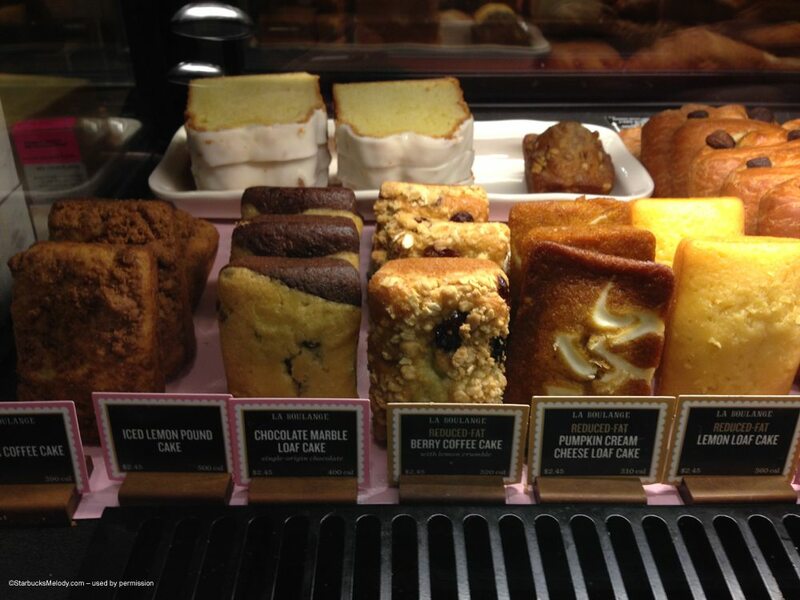 Which Lemon Loaf Do You Like Better at Starbucks? Starbucks is in the midst of an interesting test in some of their Phoenix and Tucson area stores. Some stores are offering both the La Boulange loaf and the pre-La-Boulange version of the lemon loaf side by side. As I understand it, this small lemon loaf test is to figure out which one has the greater customer demand. So, which one do you like better? I just thought this was interesting and would share it here. Every time I write about tests at Starbucks, I include the warning that Starbucks tests many more things than what actually makes it to a national launch. You can browse some of the other test food and beverage items covered on this website by clicking here. On the topic of tests, I am hoping someone reading this would email me about some of the current beverage tests happening at Starbucks. If you’re in a store testing the Tiramisu Latte, I’d love it if you’d email me! Thank you! How to get a free tin of Starbucks cookie straws. What’s Pink and Lime and Frappuccino-ish at Starbucks? It’s the Pink Lime Frozt. I have not tried any of the new pastries. One thing i have noticed while standing in line is all the new appears so “tiny” and normally seems to have more calories than the old. Also, the older pastries looked much more appetizing and more like would the “food it is representing” should appear. When I think of a slice of lemon loaf that is what I want not a mini loaf. Just my 2 cents. Hope all is well Melody! I see the point in making them the same price (all things being equal, which one sells more), @Haley – how much was the original one before? LB has not rolled out here yet, so I’ve not had the opportunity to try any of it. It used to be $2.25 here. I believe still is at Target, grocery stores etc. unless they raised their prices too. I love the new lemon loaf! I think its flavor is so much more crisp and tangy than the old loaf. The old one tastes too processed for me. In regards to the new line of pastries, my normal SB haunt has been giving out samples of the new pastries. My guess is that they are not selling well, better to give them away than to throw them away ?? On a positive note, the only new pastry that I like is the new Morning Bun. The Oswego (??) Cheesey Pretzel is okay, but one was rather stale, but the flavor was good. IMO, the OLD lemon loaf is vastly superior to the new. I’ve run across plenty of people who seem to think likewise. I frequent stores in two geographically diverse areas – one area had not seen a wide roll-out of the La Boulange products until recently. I would always get a slice of ‘old style’ there but have not bothered with the La Boulange loaf since my first one. I have the uncommon opportunity of living in a pre La Boulange Starbucks area while working in a La Boulange Starbucks region. There are some amazing La Boulange offerings, but their loaf cakes, cookies and croissants are BY FAR inferior to the prior offerings…in my humble opinion. The cookies are less flavorful and both the croissants and cookies are smaller, and the loafs are drier with less enjoyable tastes. I especially feel this way about the lemon loaf. That being said, I do enjoy the more savory La Boulange offerings, and their seasonal tarts are pretty good too. Just please don’t get rid of the sell out seasonal cranberry bliss bar and I will remain a happy customer. No 2 coffees are the same, and neither are the 2 Lemon Loaves. There are things I like about both, so I am rather neutral on the subject. I do however believe if the La Boulange Lemon Loaf had frosting, more people would like it. @Denise – When I received the 25 stars, because I had more than 7, I too ended up with 3 rewards that would expire on the same day. Ironically, the same exact thing crossed my mind the other day regarding their expiration date as you just mentioned. 3 rewards are better than none at all, so we will just have to use them when we can. The old food is much better, including the lemon loaf and especially the cookies. The new food it tiny and wimpy looking. While LaBoulange is often delicious, the servings are too small vs the old food. It doesn’t present a good value for the money. I have actually stopped buying food when at starbucks, vs usually getting a lemon loaf, brownie or cookie for a mid-afternoon pick-me-up. After trying the new LB offerings, I still prefer the old ones. Muffins, scones and loafs. 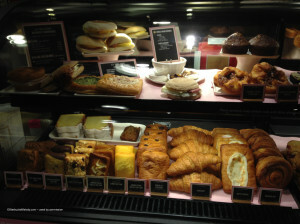 Every time I walk past Starbucks at Target, which still serve the pre-LB muffins/loafs, I’d just smile and wish that they’d still have that at my regular Starbucks. And sometimes I’d treat myself to a slice of banana bread. Love. old one, definitely. fortunately i can still get them in my market. I like a lot of the new pastry options, however when it comes to the “loafs”, I really do prefer the old style for the banana bread, lemon, etc. I also strongly dislike the new Old Fashioned donut, they used to be delicious, but now they are sticky and gross. But new options like Chocolate Croissant are wonderful. The smaller loaves aren’t a test item, they’re the La Boulange loaves. We’ve had them here in the NY Metro area since mid-November and they are very nice. The lemon loaves have bits of lemon zest, real butter, and a softer, fresher texture. I think the apparent hatred toward change that a lot of Starbucks customers exhibit is just that they’re creatures of habit, leery of change. You’d think the fans of such a dynamic, forward-thinking, innovative company would be excited for new developments! The La Boulange standard is “warmth” and you’d be surprised how many people get legitimately angry when they are served warm, oven-fresh food. You hear things like, “NO! I didn’t ASK for that to be heated. Now you’ve RUINED it!! !” and “Why are you warming that up?I don’t have time to wait!!! !” (The warming time for a single LB loaf is 10 seconds, btw). @Alex – I should have been a lot more clear in my article. I’ll edit it later when I’m home. I wasn’t saying that the smaller loaves was a test item – those are the lemon loaves we have in Seattle too. I was trying to say that selling both lemon loaves side by side is what was interesting, and being tested. I can see though why I created confusion. And warming is a big preference thing – maybe the answer is to ask every customer if they want it warm. I see it as very subjective. I’ve met plenty of people who will gladly dive into a cold pizza. Hopefully this test is a preview of what is to come! A side-by-side comparison of the old versus the new will prove that everyone misses the original food. Bring it back! The old one… the frosting, and it is bigger, which is nice b/c I share it with my son. It is easier to tear apart too. And tastes better. I prefer the new lemon loaf. It’s so light tasting and fluffy. Where can I get the Pumpkin Cream Cheese Loaf Cake pictured above? That thing looks delicious! I much prefer the old one, but then again I am not a huge fan of Starbucks food. As for La Boulange itself, it is overpriced and sub-par. Perhaps it is good when it is made – but shrink wrapped, frozen, thawed and then reheated makes it no better than Hostess. Adding a Starbucks price to it just adds to the insult. (And from what I hear, making the portions smaller rubs salt into the wound and makes more people want to avoid it). I realize we are a captive audience while in starbucks, but there are far better, and cheaper, options at a myriad of local bakeries. an earlier commenter called it “oven-fresh” but that is not what it is. It is “re-heated” which is something you do with day-old bakery products to revive some of the flavor that is lost. I have no doubt true “oven-fresh” La Boulange is quite nice, but this stuff simply isn’t. The Pumpkin Cream Cheese Loaf is just okay. 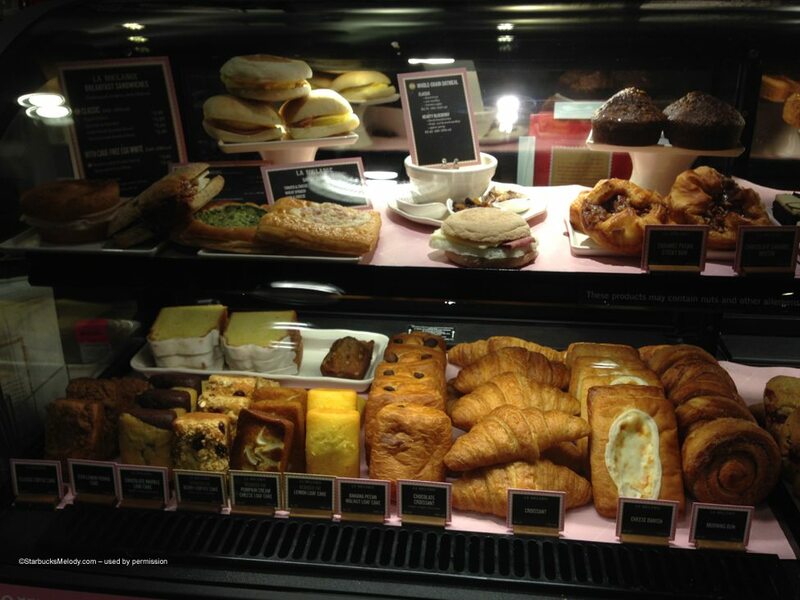 All of the La Boulange cake items are just okay. hands down, the “original” lemon loaf is far superior! And not one mention of the Lemon Cream Cheese Frosting that is supposed to come with, or is available for, the Lemon Loaf? Are all these stores forgetting it too, or has it been canceled? The impact of the frosting and the Lemony top of the old version is huge. The new loaf, even if you get the frosting, is not as impactful. I preferred the older version in my comparisons. The newer Savory items though I are big winners to me. @Kurt – At least around here, those wonderful little frostings designed to go with the Lemon Loaf have long since been discontinued. I think the lack of a frosting is kind of an issue for many who like the old one better than the new one. Do they still have those frostings where you are? The old lemon loaf was my favorite then and my most missed now. 🙁 I like lemon loaf cool and dewey with the glaze on top. The idea of anything warm with cream cheese frosting just sounded disgusting (lemon or pumpkin). Like Lisa I like the original lemon loaf with the icing the best. But as a Starbucks barista, I did not like it and the raspberry swirl loaf cake in the summer. Even in the cool RTD case, after awhile the icing drooped and did not look first rate. So, I’ll take the new pan loaf cake over the second generation lemon slice cake. While I like them both, I tend to prefer the old version, mainly because, as others have pointed out, of the frosting! If they drizzled a little white frosting on the La Boulange, I would find it more appealing. Melody – Starbucks is not getting La Boulange here until March or so. I just remember the icings, especially vanilla cream cheese on a morning bun, when I visited Seattle in September. The lemon needed to go. Did they keep the vanilla at all? I don’t eat it, but visually the old one is more appealing & much more appetizing looking. Both my hubby & my son used to love the lemon loaf & the frosting is part of the appeal. My son used to only eat the frosting & sadly now there is none. I don’t like any of the new pastries & have stopped getting them all together. Alex, I don’t like mine heated for a couple of reasons. First of all I used to like my pastries warm, but then along came Starbucks with their cold pastries & after years of eating them cold I like them that way. Also most of the time I take the pastry to go & don’t eat it right away so heating it & eating it later just makes it taste old & yucky. It usually sits out for a bit before I eat it & it warms to room temp & that is the way I Like it best. Also I like chocolate croissants & the way they are made if they are heated the chocolate oozes out, not good if you decide to eat in the car. well….. what this is entirely dependent on, I don’t know….but when I walked into my ‘regular’ store yesterday about 1P (no bad weather for a couple days etc), the pastry shelves were pitifully bare…..literally about 3 little loafs left? I was told they sold out by noon. So, with this new-er ‘less waste’ plan, many of the stores look horrible by early afternoon. They need to remove half the of case so it just looks better, if they aren’t getting any more product. I realize ordering and knowing what will sell on any given day is not easy but ??? I don’t know. Way too empty, in many stores, by way too early. imo. @Kurt – There are no frostings here at all in Seattle. My understanding is that the demand was low – but I think the way they were displayed, a lot of customers didn’t realize that frosting could be an option. Also, the way the little frostings were packaged, it wouldn’t surprise me if they were pretty expensive. Little cute plastic tubs. I think it’s possible that there are frostings in some areas. Definitely not in Seattle. In San Jose,there’s a food test going on, so they have different items. I find this odd, but apparently Fresno hasn’t launched La Boulange, and won’t be getting these mini loaves, and will be keeping a few of the previous items. ? And as you can see, there’s a food test in Phoenix. @Denise – That’s definitely not happening here. I was surprised though to see a FB comment (probably long since buried now) on the official Starbucks page of a person in Chicago saying just about the same thing as you – bare shelves. Maybe it’s your area? I know that’s no help. Sorry. There’s a HUGE push to have less waste in stores, resulting in us having a lot less pastries to sell. I’m not a fan of lemon loaf, but the most common request is “What do you have with frosting?” We were supposed to eventually have the vanilla and lemon (?) frosting, but now I guess we’re not expecting those at all, ever. We are not supposed to ask if a customer wants something warmed. We’re supposed to warm it unless they ask for it NOT to be warmed. @Denise – I’m standing behind your last comment 100%. 1pm is unacceptable, considering there is still more than half the day left to go until closing. I am still peeved that Starbucks continues to pile boxes 3/4 of the way’s to the ceiling in the customer area, and taking away from precious seating space. The Holiday’s are over and the displays and Holiday items are gone, but it still continues. @Melody – I live in Fresno county. Just yesterday, I noticed that an area drive through had the pink La Boulange advertisements up…and it looked like they had made the switch. I didn’t go inside the store, so I don’t know if it is a complete switch, but this was news to me. Fresno is known as a typical test market for all sorts of food vendors and restaurants, but I have never noticed us being used by Starbucks as such. Hopefully, Starbucks will get useful results from their test locations, and will not discard the best of their old lineup. I assumed you were referring to Starbucks partners emailing you when you spoke of the Tiramisu Latte test markets (and I am, unfortunately, not a part of that awesome club). I am a regular Starbucks customer in St. Louis, one of the cities that is testing it. It’s not something I would normally order, but I tried one this afternoon and enjoyed it, maybe because it wasn’t like something else to me (at least something I’d normally try). It wasn’t “too sweet,” and though it’s been a few years since I’ve had Tiramisu as a dessert, the taste was distinct enough to be identified as being “in the family.” I wish I’d asked the partner I ordered from (I was not at my “regular” location) what she recommended as a pairing, but alas I drank it alone.